It is hard for me to believe that it has been almost four months since our family vacation to Disney World in May. To say that I would jump at a chance to go back is an understatement. Sad to also admit that I never finished blogging about our Disney vacation. Something today made me think of the trip. Both of our boys love to build. We have lots of Lego items in our house and at Nana and Papa’s. We started with quatro blocks, moved up to duplo sets and NHL received a set of regular legos for his birthday over a year ago. NHL is intrigued with building bigger and more recognizable items now. I think some of this has to do with our visit to Disney World. 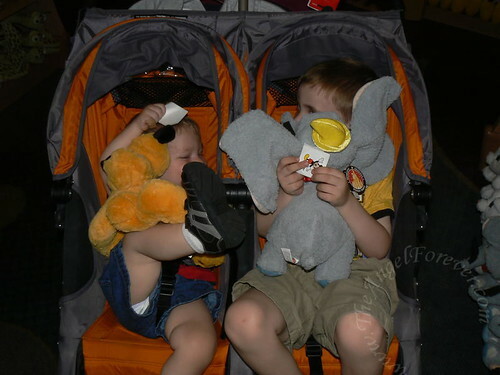 When we went to Downtown Disney on JSL’s birthday we wanted to get each of the boys their own stuffed friend. 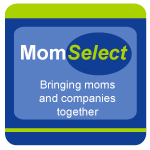 A trip to Disney World, especially their first, would not be complete without this. Here are the boys with the friends that they picked. NHL wanted Dumbo since he was enchanted by the ride at the Magic Kingdom. Meanwhile JSL fell head over heels for Pluto, or as he calls him "Pup-pup" on this trip. 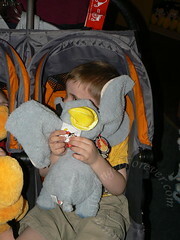 Both of the boys were happy and excited to hug their new friends on the way out of the Disney store. After this we decided to go to the next store over which is all Lego products. It is absolutely amazing. 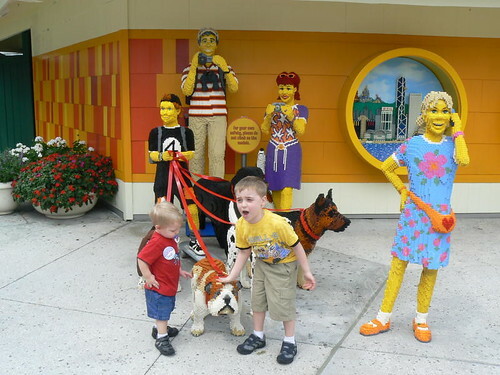 Here are the boys outside with some of the Lego statues. JSL had to do a double take because he was not sure about the dogs. Eventually they both checked everything out. We looked around at everything for a little while. 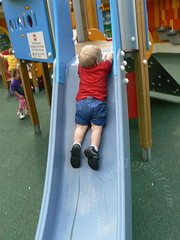 Then we spotted an area outside where the boys would build with Legos and go on a nice sized playground. Looked like the perfect place for them to get some energy out before going to lunch. While the boys played here I went to look at another store to see something. 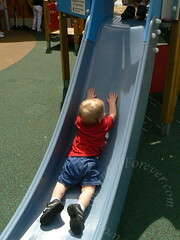 When I came back I saw that our now two year old was quite the daredevil – Oy! He kept doing this over and over again. Soon it was time to find a place for lunch. 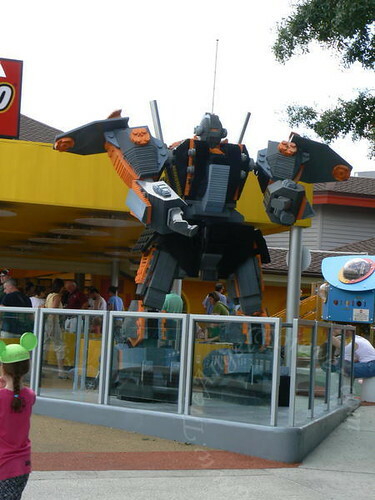 As we wandered back toward a few places we stopped to check out more of the Lego creations. First up were the underwater creatures. 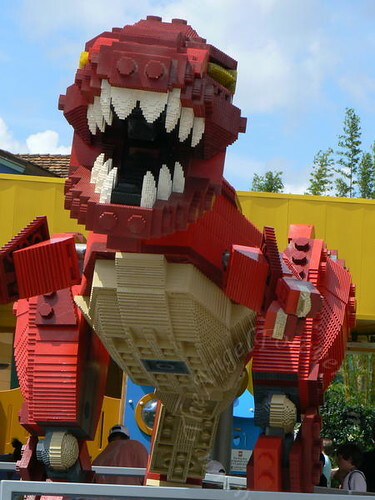 Next up is the dinosaur that was a big favorite of our boys. 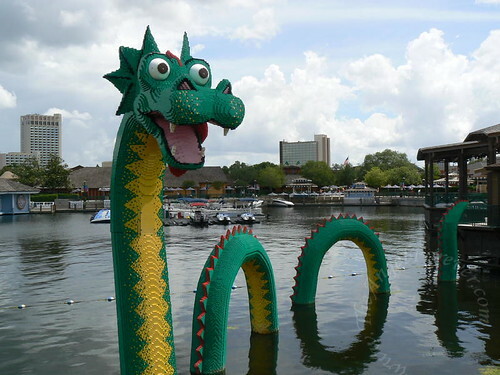 And last, but certainly not least was the sea creature that is in the Lagoon. We have photos of this one from our honeymoon as well. Love this one as a sentimental favorite from my many trips to Disney World over the years. It was a beautiful day for JSL’s 2nd birthday and we enjoyed strolling around Downtown Disney before swimming at Pop Century and going to the Magic Kingdom for dinner at the Crystal Palace. So, let me ask you. . . . IF you had unlimited Lego opportunities (no cost) and the time, what would you build with them? 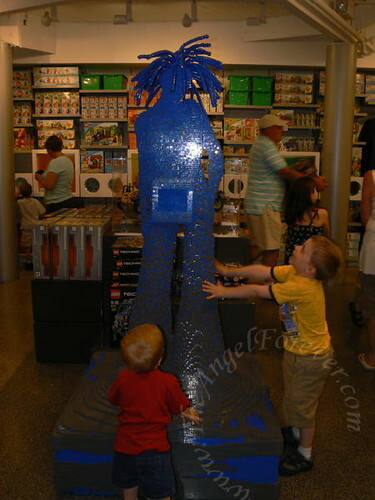 I know I can not wait to see all that our boys will make as they grow older and learn to love Legos even more! 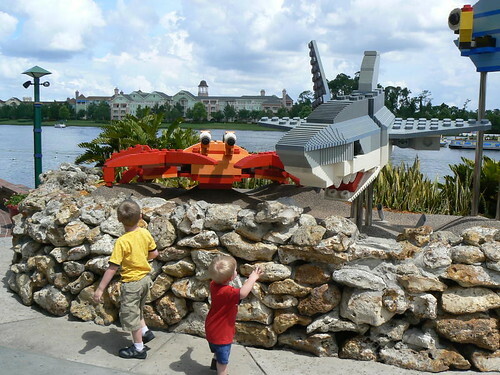 I love the Lego structures at Disney too, my kids had a blast with the Lego family. Alex filled up a bucket of Legos that we left at the condo in a locked closet and he’s looking forward to playing with them in November. 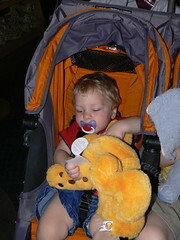 I have a question – I seem to recall that you rented that stroller when you got there, what company did you rent from? How much was it, and was it worth it over renting at the parks? Did you reserve ahead of time? 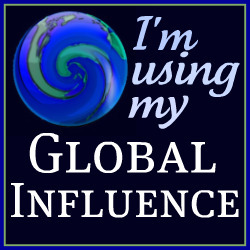 .-= Nancy´s last blog ..September Nightstand =-.